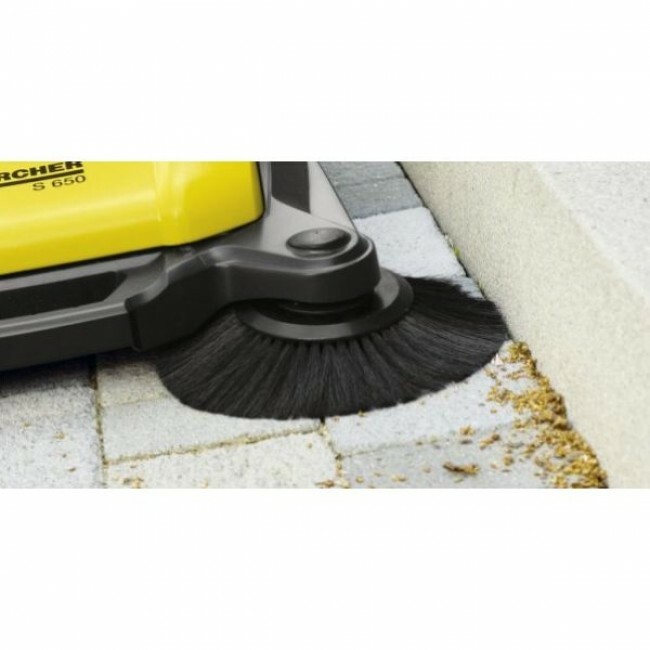 The S650 sweeper cleans paths, patios, driveways and yards up to five times faster than with a dustpan and broom.Sweepings are immediately collected in the large capacity container and the long bristles of the side brushes ensure a thorough clean right up to the edges. 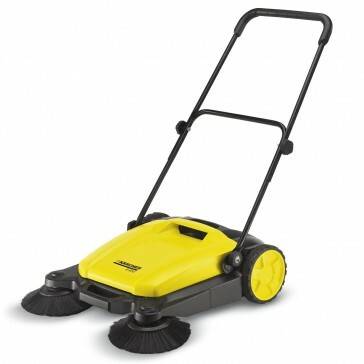 With a foldable handle for easy storage. 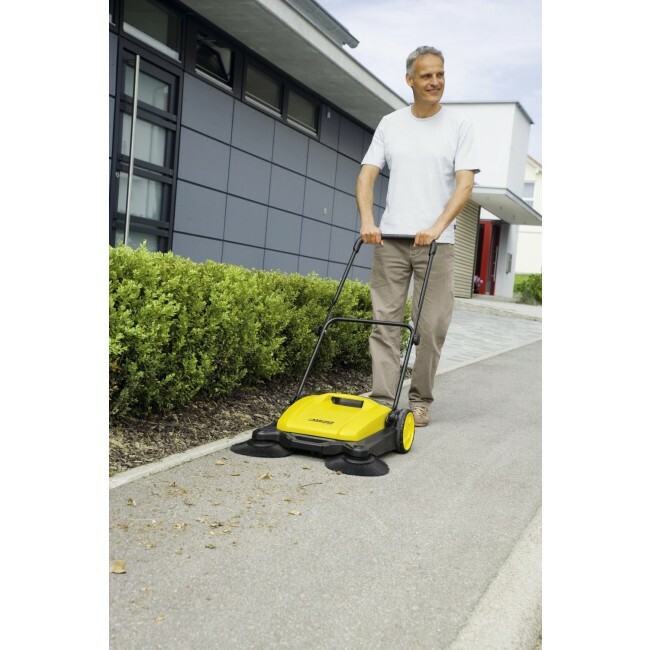 Cleaning of sidewalks, streets, driveways and yards as well as other areas around the house.